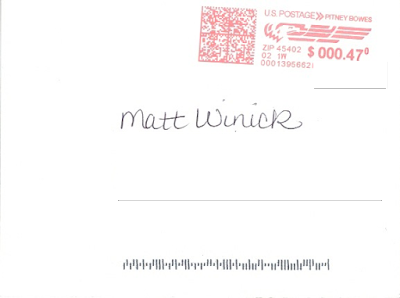 My name is Matt Winick from Ann Arbor, Michigan with a strong interest in learning history including public policy. In these subjects, I like to learn the need to make Civil Rights stronger to reduce discrimination, protect the environment from pollution, expand on finding ways to improve public safety, and many others. 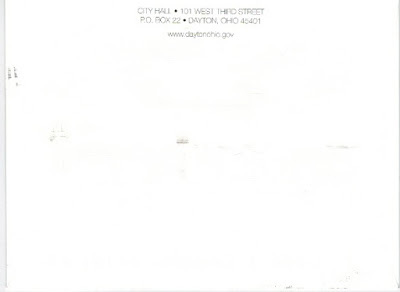 Mayor Whaley, the main reason I’m writing you a letter is to explain how I find your role as current role as Mayor of Dayton, Ohio to be very inspiring to me. 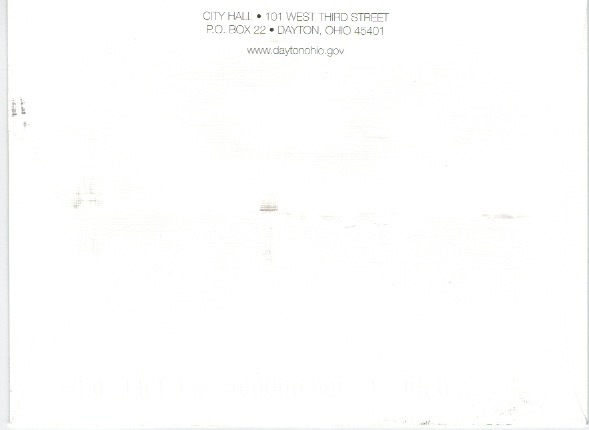 In your current role as Mayor of Dayton, Ohio I like on how you are a very strong supporter of Civil Rights to help protect women, minorities, and people with disabilities from being discriminated in education and public places. Also on Civil Rights, I really appreciate on how you are expressing the need for women to have equal pay, supporting funds to help women including minorities businesses to help them compete in the economy, advocating for people with disabilities’ rights, and working with law enforcement to expand on combating against hate-crime. Expanding on job-training programs to help train youth including workers to develop job-skills to help them prepare them for the workforce, creating Mayor’s Business Round Table meetings to meet with local business leaders including small businesses owners to find ways to improve businesses including ways to make product safe while making them be part of the community, and making Dayton Region Manufacturing Task Force to work on finding ways to make manufacturing jobs safe for people to work on including make them have good benefits is common sense to improve the economy while working on a goal to make the workforce efficient for people including the city. On education, I like on how you are pushing for funds to help improve special education to help students with disabilities get educational recourses they need to help them learn, expanding after school programs to help students get help on their assignments, and working to support early childhood education to help young children develop reading skills. , I like your approach to protect the environment like support funding renewable energy projects to help reduce addiction to oil with gas, encouraging businesses to use energy efficient products to reduce polluting the environment while creating jobs, and working with city council to provide funds to help clean water resources including parks to make them clean for people to use. Hiring police officers to help reduce crime, implementing treatment programs to help drug-users get the care they need to reduce addiction, working with construction including city council to push for funds to re-fix bridges including roads to make them safe for people to drive, pushing for bike paths along with sidewalks to help protect bikers including pedestrians from vehicle accidents are great ways to improve public safety. Another thing that I really like about your work as Mayor of Dayton, Ohio is how you are working hard to preserve or restore historical sites, museums, and other attractions around the area to improve tourism along with make history or other subjects a better environment for people to learn. Mayor Whaley, I have autism with a learning disability. Having a disability is hard for me because I have trouble comprehending on learning different subjects, sometimes I struggle to communicate my thoughts, and get teased. Your commitment to be a strong supporter of Civil Rights and your advocacy for people with disabilities’ rights really inspires me to work hard on my disability. On the NewDeal website I enjoyed learning about your commitment to improve society while push for progressive principles like Civil Rights including many others by watching your video. Also on The NewDeal website I really enjoy learning on how different people in public office work hard to push fro good reforms. 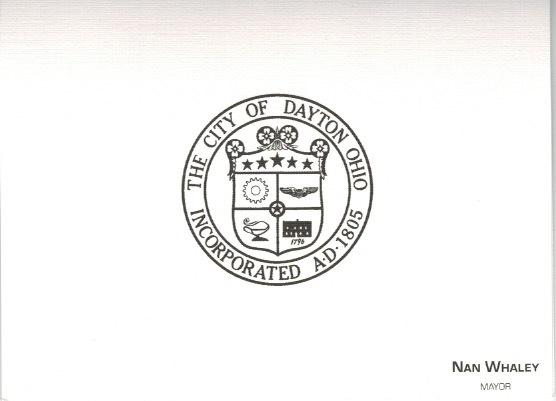 Your work as current Mayor of Dayton, Ohio drives me to continue my interest in learning history with public policy. My future goal is to someday visit Dayton, Ohio to see some historical sites, explore more history to expand my learning, and continue to learn on how different U.S. Mayors like you really make a great difference for society or how they inspire me. 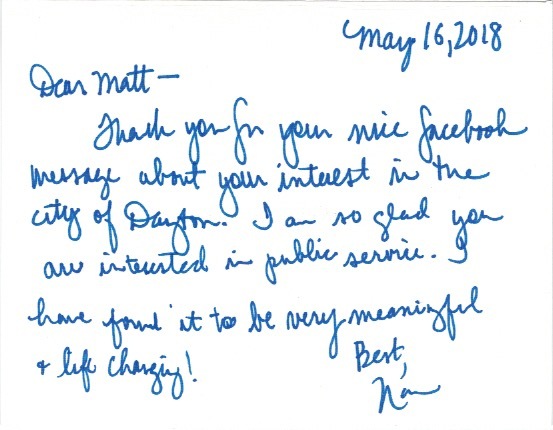 I strongly believe that you are making a great difference in your current role as Mayor of Dayton, Ohio. I’m proud on how you are working hard to improve society by making Civil Rights stronger, protecting the environment, expanding economic development while improve working skills, and many others. You have inspired me to work hard on my disability, learn more about your work on TheNewDeal website, and to continue to learn history. I was wondering if you could please share your favorite achievements in your current role as Mayor. Thanks for taking the time to read my letter, working hard to make a great impact on society, and inspiring me. Also I wish you well for your re-election for another term and to continue to make a great difference in your role.